Paddy Hopkirk, one of the greatest British rally drivers of all time, made his name at the 1964 Monte-Carlo rally. Here, with co-driver Henry Liddon by his side, he took overall victory in the race thereby sealing his name into history. Paddy's victory was made all the more special for British fans because he took the win in his number 37 race car - a very British Mini. His race win went down in rally folklore, forever linking Paddy and the Mini as a winning combination and with 2014 marking 50 years since that special victory, Paddy and his car, 33EJB, have been attending a number of events to celebrate. 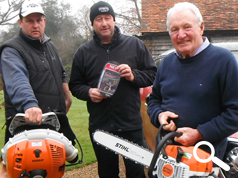 But being a racing legend doesn't make you immune to falling victim to theft and Paddy has recently been 'relieved' of his garden maintenance tools. So when he set about replacing his tools, with typical race winner's tenacity and determination, Paddy decided to do everything he could to make sure that his new tools stayed where they belonged, and for Paddy that meant protecting them with Datatag. Datatag are global leaders in security marking and registration and their new power tool marking system provides the ultimate theft deterrent for all types of hand and power tools. Using a combination of tamper evident labels, Datadots® and stealth ultra violet etching technology, tools are given a permanent identity that is almost impossible to remove and makes tools easily identifiable. Marked tools are then registered on Datatag's secure database that police can access 24/7 helping in the fight to identify and recover stolen assets. Having seen all of his new tools protected and registered, Paddy was very impressed with the system and how easy it is to use, 70 year old Paddy said, "I really like the concept of the Datatag combining state of the identification technology in a simple and straight forward system - it gives my tools an identity that the thieves can't remove, making it hard for them to sell, meaning that my new tools will hopefully stay mine!" 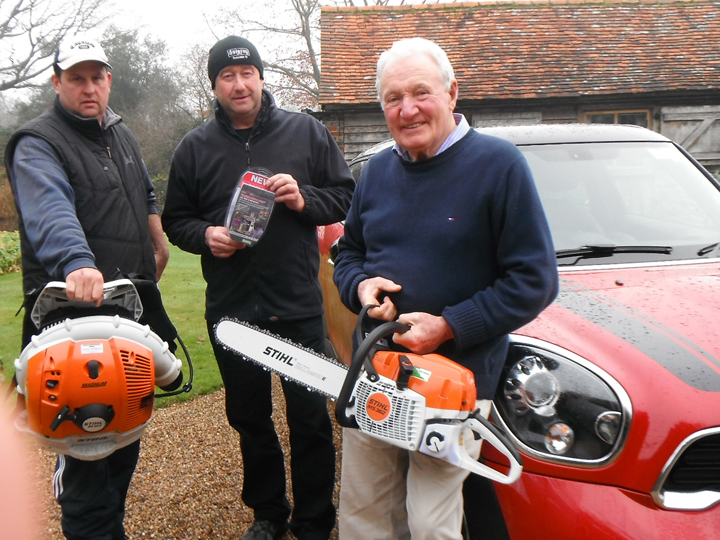 Paddy has relied on Datatag's New Powertool Pro System to protect his expensive power tools and give him peace of mind. The systems come in two forms - 'Domestic' and 'Pro'. The Domestic kit allows you to protect up to 5 tools and the Pro kit – designed as the name suggests for professionals - up to 25 tools. With a retail price of £41.99 and £118.99 you can protect all your kit easily and simply ensuring that when you have a job to do you'll still have the tools to do it. Both systems can be ordered directly from Datatag by simply calling 01784 778313.